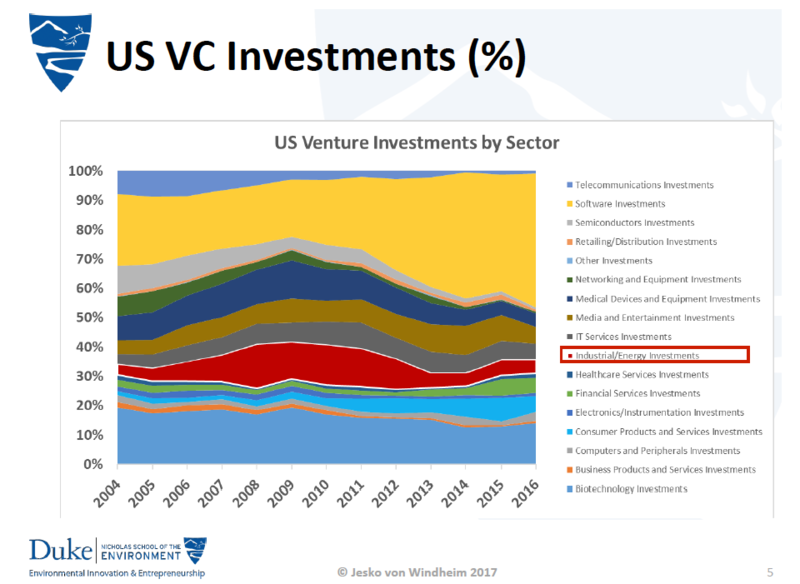 One of the ETS2017 speakers in the Entrepreneur track was Dr. Jesko von Windheim. 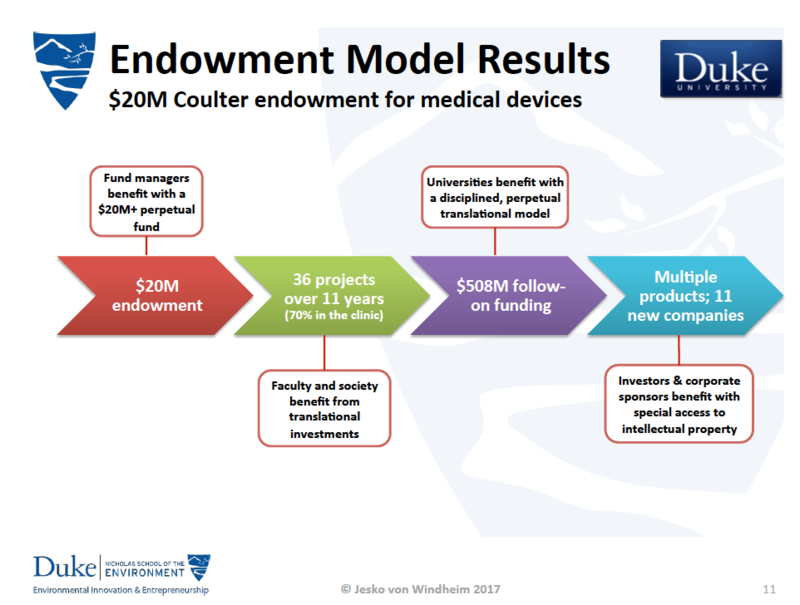 Dr. von Windheim is a technology entrepreneur who is focused primarily on early-stage innovations in the physical sciences. 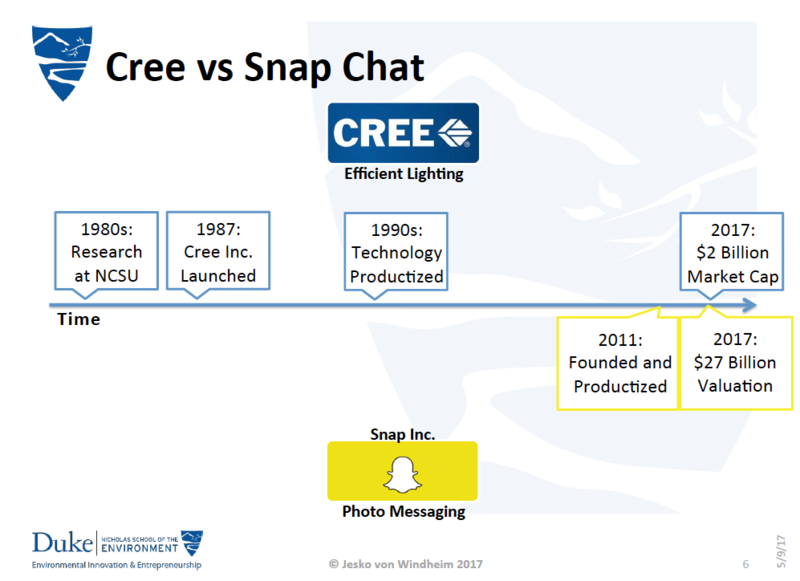 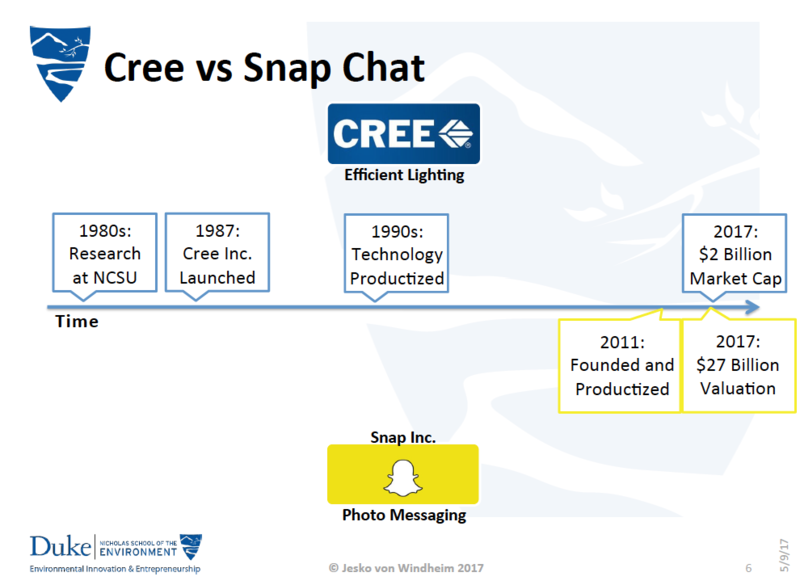 A comparison was made between Cree and SnapChat, and the go-to-market timeframes involved plus the current valuations of the firms. 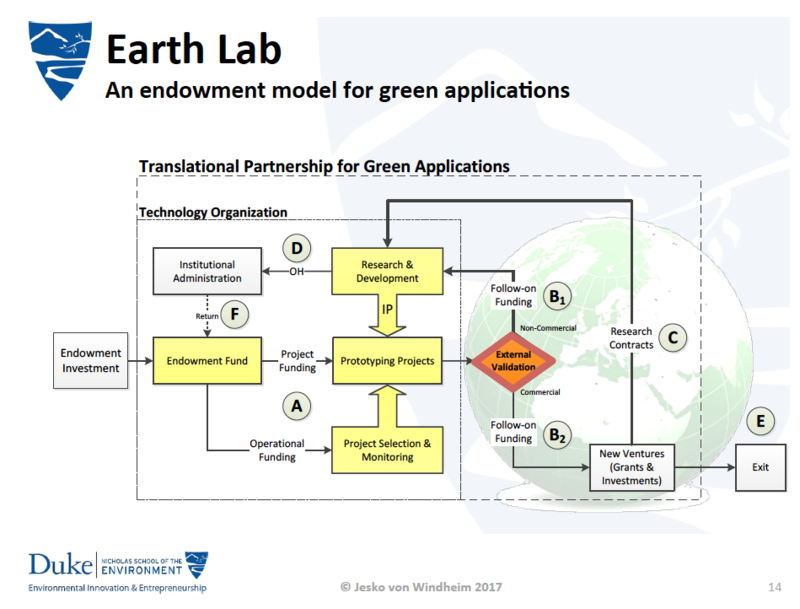 Due to the long timelines involved in exits within environmental and science applications, it’s no secret that securing funding for such ideas and startups is difficult. 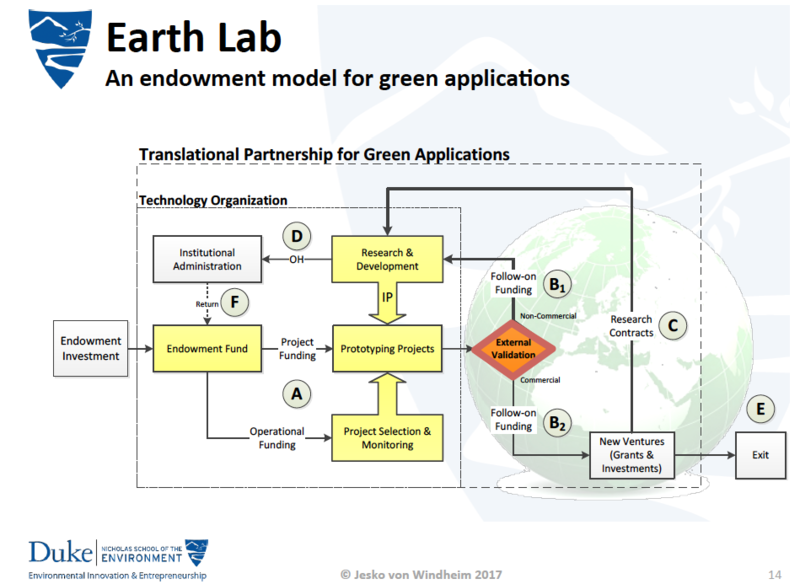 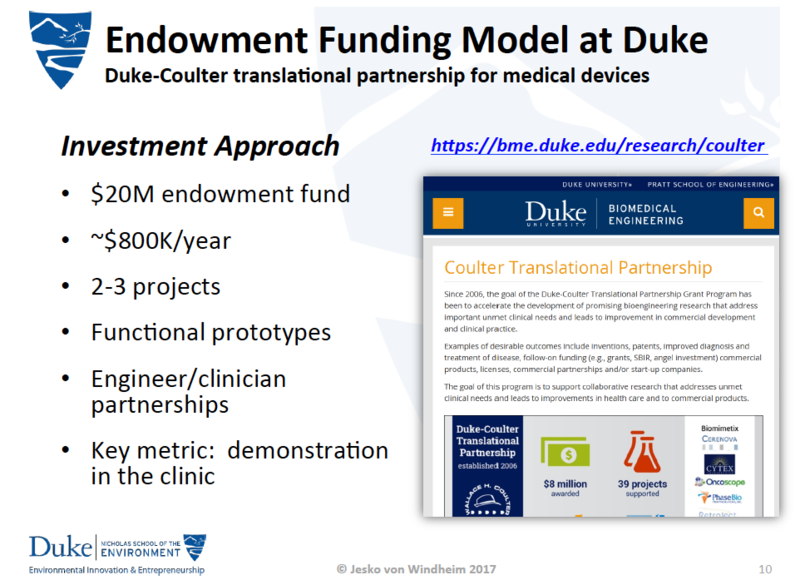 As such, Jesko proposed an alternate approach to funding technology startups in the environmental and science industries: ENDOWMENT FUNDING, which has been very successful in funding medical innovations at Duke University. 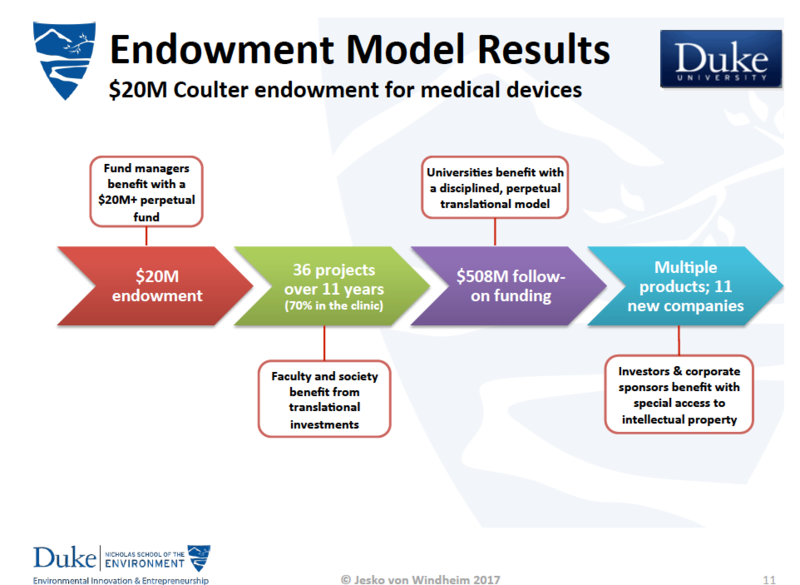 Endowment funding—unlike other typical commercial funding mechanisms, can take a long approach, which lends itself well to ideas and innovations that take substantial time to develop commercially. 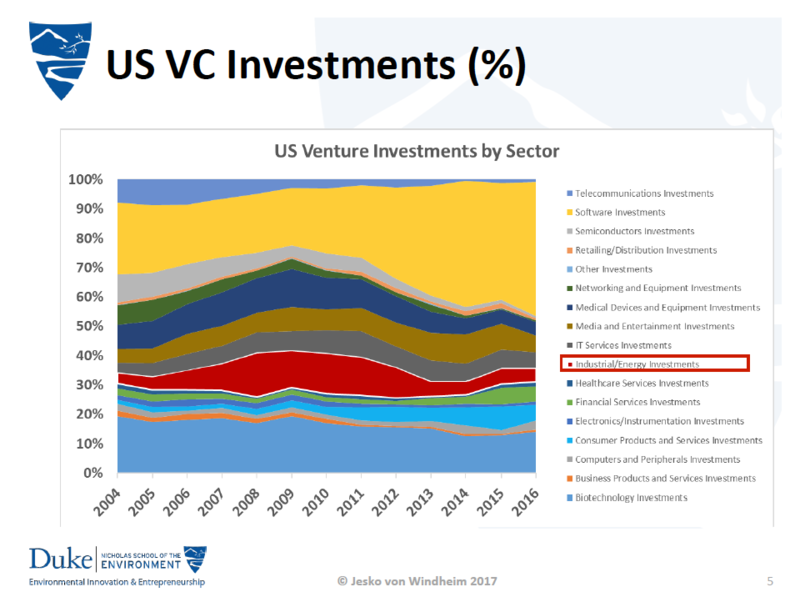 Jesko also focused attention on financial viability, and the importance of such in the idea/innovation. 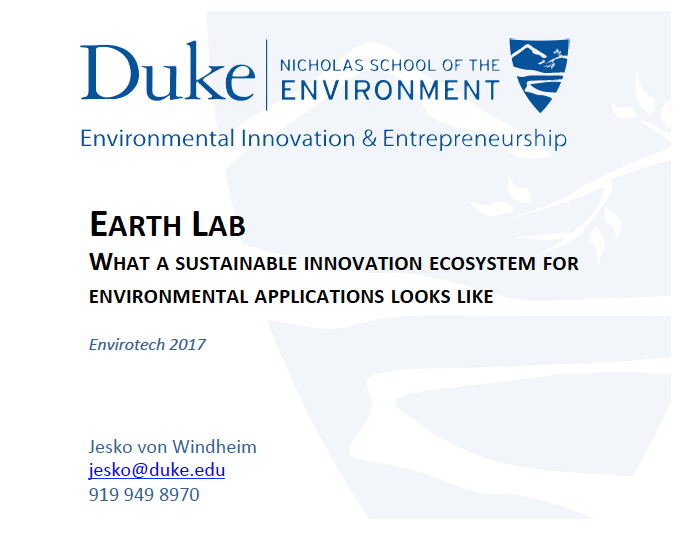 Bottom line: if the idea/innovation cannot solve enough of a problem that someone is willing to pay real money for access to it, then the idea will not be commercially viable (although it may still make sense to continue to do research and iterate until something useful comes up).